Enjoy 10% OFF Your Seoul Korea Hotel Booking at Agoda. Use Voucher Code to Avail. Search and Compare Prices on Agoda for more than 63000 destinations worldwide at discounted rates! Choose from airlines like Singapore Airlines, Emirates, Jetstar and many more. Get up to 20% off hotel bookings in Hat Yai, Kuala Lumpur, Venice, Kyoto and more! Visit the Agoda "Deals" page regularly to get daily deals on your favorite travel destinations. Guaranteed best Prices For Hotels, Resorts, Hostels, Homes & More, Worldwide on Agoda deals! Your Cashback will be tracked as 0% before your stay is completed. Once your stay is completed, it will be adjusted to 5% Cashback before it turns redeemable. 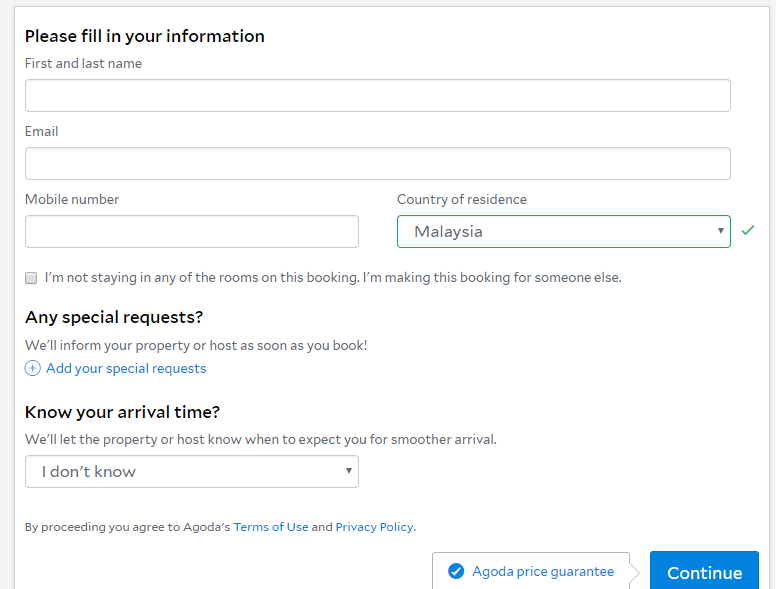 20 Things RM 100 Can Get You In Malaysia From Agoda! Agoda is one of the world’s fastest-growing online travel booking platforms. Established in 2005, the start-up quickly expanded in Asia and was acquired in 2007 by the Priceline Group – the world’s largest seller of rooms online. Agoda is headquartered in Singapore, with 53 offices in major cities across over 30 countries and over 3,700 staff worldwide. It provides a network of over 2 million accommodation properties, including apartments, villas, homes, and hotels backed by over 15 million real traveller reviews. Agoda was a pioneer in non-hotel accommodation, offering villas and homes throughout the region from the very start. It is a global online accommodation reservations provider, a technology innovator, and a high-energy company based in the heart of Asia. As one of the earliest Asia-domiciled online accommodation companies, Agoda is a pioneer in the online travel space. The company’s growing international footprint, which began by covering Asia-Pacific, now reaches across Europe to the Americas, where travellers have discovered the company’s relentless pursuit of deals presented largely via its mobile app. With the massive scale of today’s travel market, Agoda’s success is a result of perpetual innovation – more than 35% of its staff are involved in technology and R&D. Whether you are looking to book a vacation with your friends and family or a quick business trip, Agoda has you covered. The tagline of the company is ‘Book faster. Book smarter. Book Agoda.’ and works wonders to help everyone plan their travel at an affordable price with several deal offers and promotional coupons. The Agoda team prides itself on bringing customers the cheapest prices on hotels, resorts, unique homes, vacation rentals, and more. Their huge selection of accommodations enables everyone to plan their perfect trip. From adventure travel and backpacking to honeymoons and family vacations, Agoda offers it all. The website is well-organised and easy to navigate. There are 4 main categories at the top header section of the page which include: Rooms, Flights, Airport Taxis and Today’s deals. For those looking to book their stay, Agoda offers several options such as a hotel or home. Simply enter your destination and travel dates along with number of travellers and begin your search. The search result will show you a host of accommodation options to choose from with the best hotel deals on the top. Customers can view the searches based on recommended properties, rates, ratings, and deals. Pick the hotel, home, resort or accommodation you like the best. The information here is quite detailed and includes details regarding room facilities, cancellation policy, airport transfer etc. In case of a discount offer by Agoda, the rates will already have the discount amount reflected. For families travelling with kids and babies, it is important to note that most hotels allow children to stay in the room with parents either with or without an extra bed. The normal hotel policy is not to charge for children if they are under twelve years of age. Some hotels will limit occupancy of a room to two adults and one child. Only a few hotels will have existing bedding for additional children, so an extra bed is usually required. Most hotels will charge for this extra bed. Usually hotels will provide breakfast when there is a charge for an extra bed. However, this is dependent on each property's policies and procedures. A baby cot may be provided free of charge, by some hotels, for children under the age of 2. For additional details, be sure to read the booking policies detailed on the page. Choose your room and click on book now. You will be redirected to a page where you have to fill in all your booking details along with any special requests. Once you have checked the details, click on continue. All bookings come with the Agoda price guarantee ensuring that the rates offered here are the lowest. In case a customer is able to find and show Agoda a booking on another website for the same room and dates as the Agoda booking, the company will match or beat the price! Select your preferred payment method and make the payment. Once all formalities have been completed you will be able to see the booking confirmation. To book a flight for your holiday, simply enter the details such as destination and arrival airports along with the travel dates and flight class. You can choose from economy, business, premium and first class. 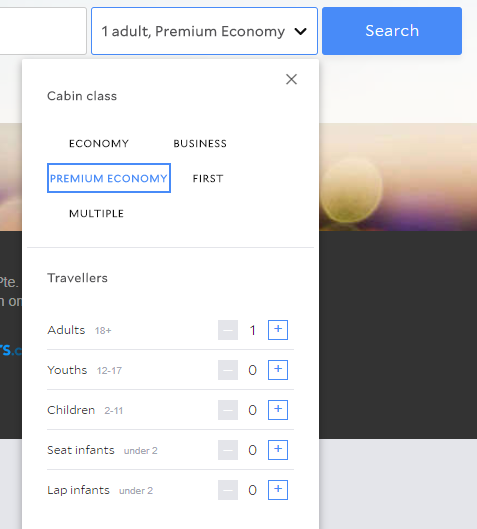 You even have the option to select multiple classes for different travellers flying with you. Once you have entered your details you will be redirected to a page where you can see all the flight options available. A lot of them also come with an Agoda discount or promo code which can be seen in the view deal button next to each flight. Choose the flight you like best and follow the booking guidelines of the page you are redirected to. Fill-in your details and payment information and book your flight. You will receive a booking confirmation soon after. Following through on its claim as your one-stop destination for all travel needs, Agoda also allows you to schedule an airport taxi beforehand to avoid waiting in lines at the airport. This service is provided by Rideways, a part of The Priceline Group, the world’s leading provider of online travel & related services. Customers can choose from a variety of cars suitable for all budgets and travelling groups from four categories – Standard, Executive, People Carrier and Executive People Carrier. Agoda is the premier destination for travel lovers with various discounts on hotel bookings, along with exciting coupon codes, sales and promo codes. Be sure to check this page for cost-saving Agoda coupons every time you travel. What makes Agoda the best? Over 15,000,000 reviews: Customers can read honest reviews directly from the Agoda travel community. Best Price Guarantee: Agoda works very hard to get customers the best price. In case someone finds a better deal at a lower price, Agoda will refund the difference. 24/7 customer service: Available in 17 languages, all day, every day, the Agoda customer service team is ever-present for any queries. Multiple payment options: Unlike other sites which only accept credit card payments, Agoda offers customers several choices, including PayPal, debit card, bank transfer, online bank transfer, or even ATM and local counter payments in some countries. A lot of the hotels, villas, and apartments even let customers pay in person upon check-in. These payment methods are subject to availability, and will appear as options on the booking form. To reward customers with each booking, the company has also introduced the Agoda Gift Cards which can be earned through most bookings. Members who book the most frequently with Agoda will earn Gift Cards on every booking. Gift Cards will be issued about 7 days after check out and the values will vary depending on the booking. To redeem the gift card value, simply apply the code on eligible bookings! No minimums, no tiers, no problem. Keep in mind that rewards are calculated on a number of factors, with the most loyal customers getting the maximum benefits. Agoda now provides customers with a self-service option to manage or cancel their bookings. Simply click on the self-service link provided in the confirmation email, to cancel the booking. Customers can also cancel the booking by signing in to "Manage my bookings" via the website. When searching for the room rate, booking conditions will be right under the room type description. To check further, customers can also click on the "CLICK TO BOOK" button which will direct them to the booking form. The cancellation policy/booking conditions link can be found in the middle of every page of the booking form. It will also be stated in the confirmation email sent by Agoda. The details and conditions in the cancellation policy will be different for each booking depending on the hotel, period of stay, room type etc. In case a booking is cancelled where points were used, the points will be refunded upon cancellation. Points redeemed when purchasing a non-refundable booking will not be returned in case of cancellation. For shortened-stay bookings where Agoda needs to refund the reduced amount of the booking value, the points that have been used for the booking will be refunded first. If the amount to be refunded exceeds the value of the points used, customers will be refunded in cash in addition to the points. In some cases a full charge may be applied based on the property's cancellation policy. A full period charge often applies for bookings under promotion or high season. The policy can be different from one booking to another. For all your other travel needs, Shopback has you covered. Head on over to Shopback where you can find coupons, discounts and cashback from other travel providers such as Booking.com and Expedia. To facilitate travel without breaking the bank, Agoda offers several discount code vouchers and Agoda promo codes. These can be found easily on ShopBack along with additional benefits of cashback. To check out the latest Agoda coupon code, promo or Agoda discount code, simply log in on ShopBack and start placing your order. Step 1: Sign up or log in to your ShopBack Malaysia account. Step 2: Navigate to the Agoda Malaysia merchant page. At this point, your browser will open up a window for you and you can shop as you normally would. Once you make your booking, simply wait for it to be tracked and you can see the cashback accumulating in your account. For any concerns regarding their booking, customers can easily reach out to the Agoda customer service team for assistance. This can be done via an email by filling the form given or by writing to them at info@agoda.com. In addition, customers can also connect to them on call via their direct hotline. However, customers will need their booking id to access the hotline number. The company also has a detailed FAQ section where common queries are addressed. In addition, Agoda also allows customers to manage several changes on their own with the self-service function. The link for the same can be found in the confirmation e-mail sent by Agoda or under the ‘My Account’ section on the website. Here customers can find details regarding their points, rewards, booking details and a lot more. In addition, it also enables traveller to cancel or manage their booking directly without requiring the customer care team. Agoda also has an active social media presence on Facebook, Twitter and Instagram.This is where customers can connect with them for latest deals, coupons and other exciting offers. In addition, the company also updates about travel tips, and new destinations that are great for the avid traveller. Individuals can also send in their vacation pictures and videos that may get featured on the page. Further, blogs and videos by the company on travel safety guidelines and other important tips are a great addition to the page.